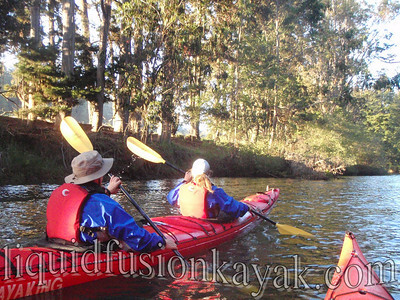 Here are the most recent photos of Liquid Fusion Kayaking's new Fort Bragg home. Finding us has gotten easier as we have signs up. We are enjoying having friends from both near and far stop by to check out our new location. 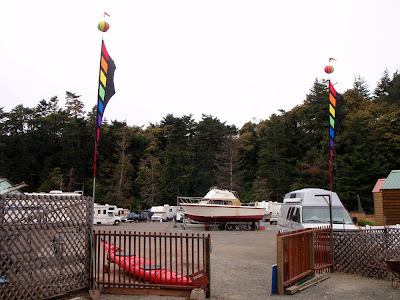 We are continuing to look for a camp trailer to use as an office this winter when it rains. For now, we are enjoying sunshine, fresh air, and spectacular wildlife watching from our picnic table desk. Lately the kingfishers and merganser ducklings have been very active frequently diving for fish. The harlequin duck continues to linger. We enjoy his quirky presence but were hoping that he would migrate and bring back a mate. 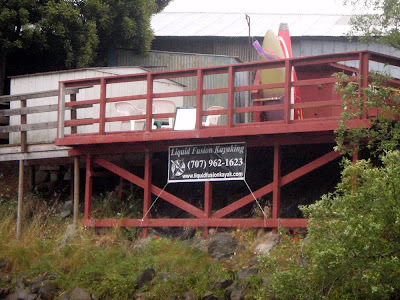 If you happen to paddle by on the river, be sure to paddle by our deck to check out our "Creature Feature." 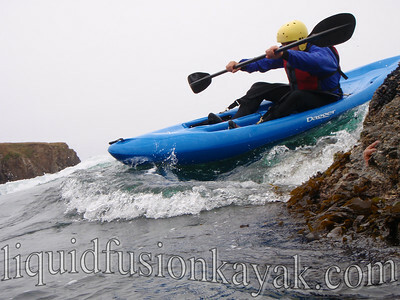 (blank in this photo - guess you will have to paddle by to see it). 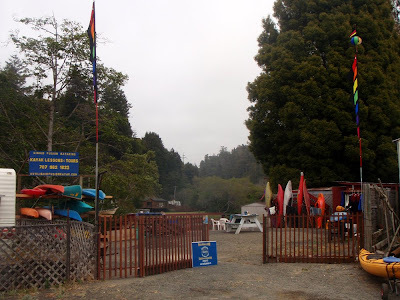 Our windy days are more enjoyable tucked away back the Noyo River. I love watching and hearing the flags ripple in the wind instead of howling around our house. 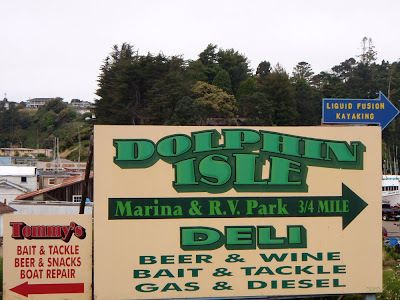 Stop by and visit us sometime. It is best to call first though . 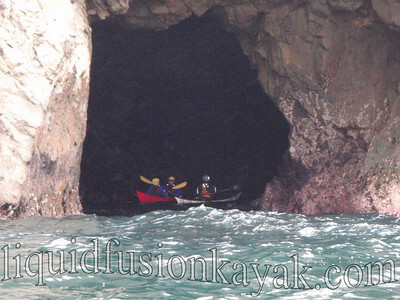 . . we love our new location but are out on the water as much as possible enjoying some great paddling on the Noyo River and in ocean rock gardens and sea caves of the Mendocino Coast. 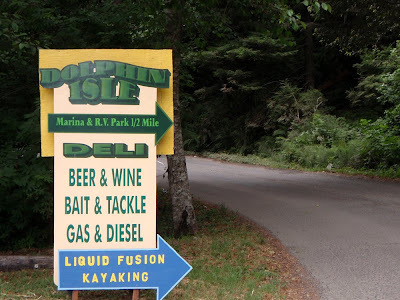 Brought David and Riley out to see your fab new spot, didn't call first, so as you warned, you were out on the water. It was a warm sunny afternoon, so while we waited we introduced Riley to swimming in the Noyo from the boat launch near your dock. She loved it - we'll be back - but will call first.